Abstract: Cancers of unknown primary (CUP) are histologically proven metastatic malignant tumors without an identified primary site before treatment. The common characteristics are early dissemination, lower response to chemotherapy and poor prognosis with short life expectancy. Treatment was directed according to the presence of localized or disseminated disease. The most frequent site of metastasis is the liver, which is a suitable target organ for arterial-directed therapies. 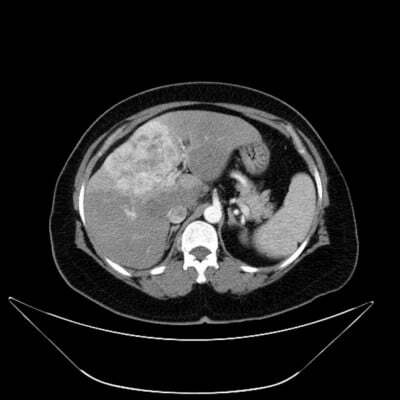 We report a case of 53-year-old woman who was diagnosed with CUP and suspected with intracellular cholangiocellular carcinoma (ICC), presented with a very large, unresectable, chemotherapy-refractory hepatic mass and treated with transarterial chemoembolization and transarterial radioembolization and surprisingly followed for 48 months with minimally progressive and stable disease. Arterial-directed therapies, an important therapeutic option in unresectable liver tumors, can provide survival benefit even for ICC and CUP which are very large in size.